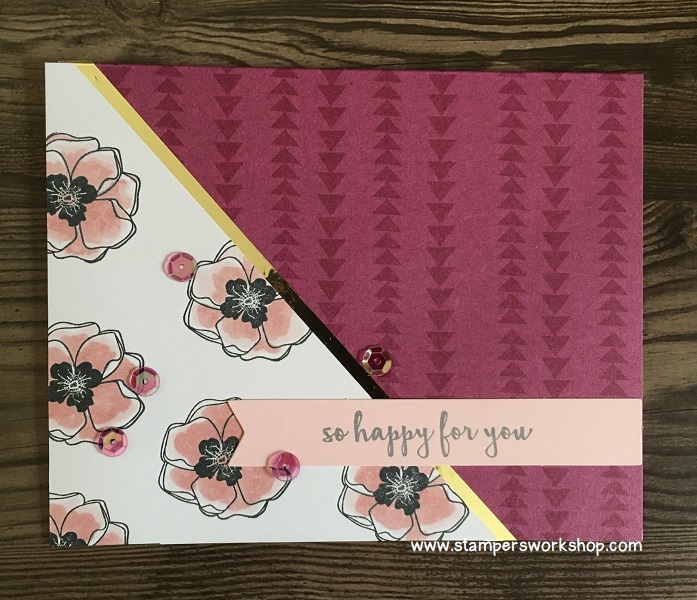 Hi, I had a couple of items left over from the Color Me Happy Project kit and decided to whip up one last (for now) card to share. You might notice the card design is similar to the project in the kit. 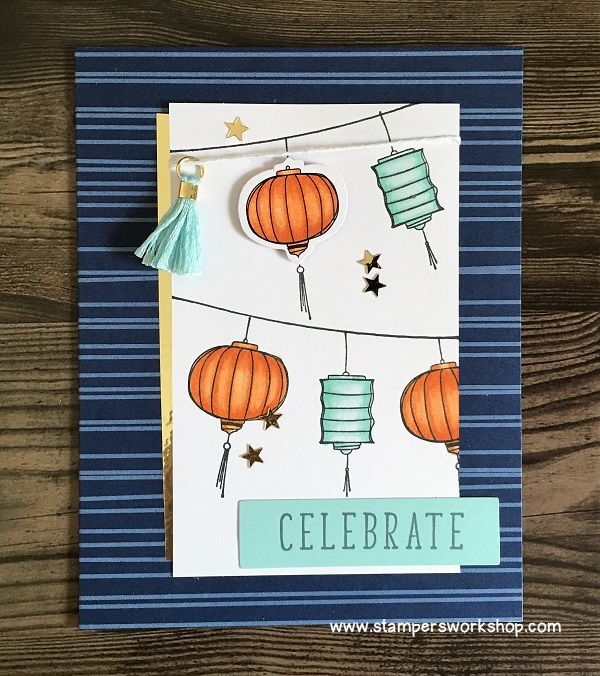 I turned the design sideways as I thought it would look great to see a long string of lanterns. 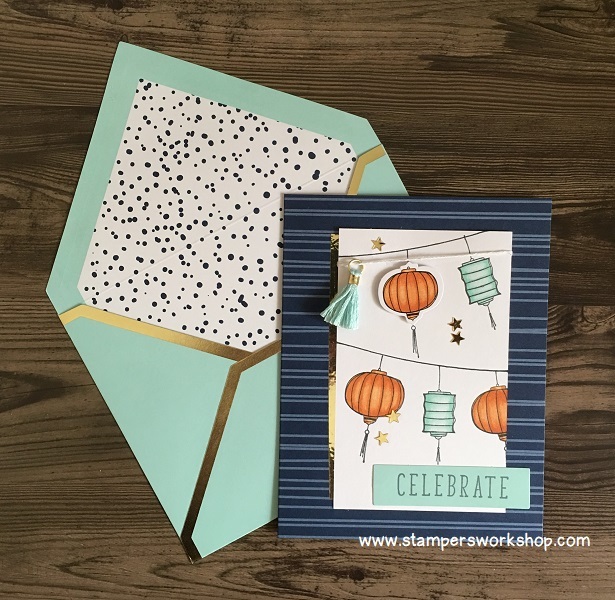 Just because the paper kit is finished it doesn’t mean you can’t still be inspired by it. (Oh, but if you do want to make more of the kit designs, don’t forget the base kit is still available). 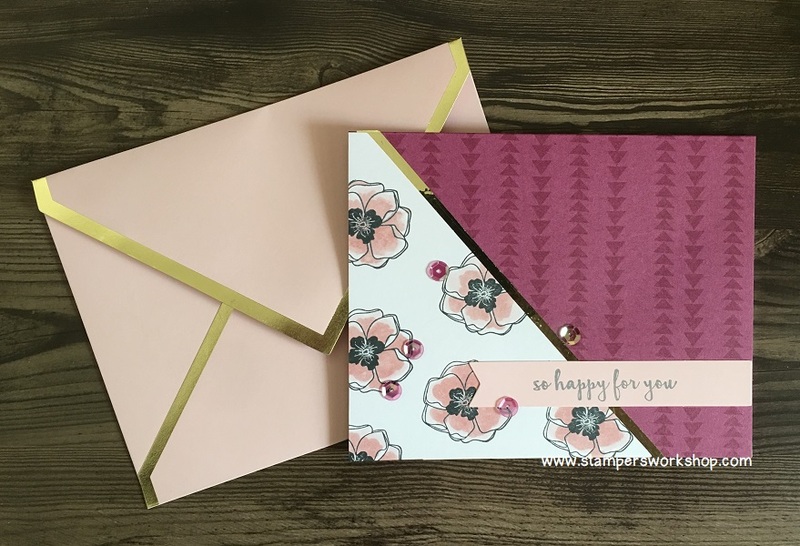 Hi, I hope you have been enjoying the close up looks of the wonderful cards you can create using the brand new, limited edition Color Me Happy Project kit. 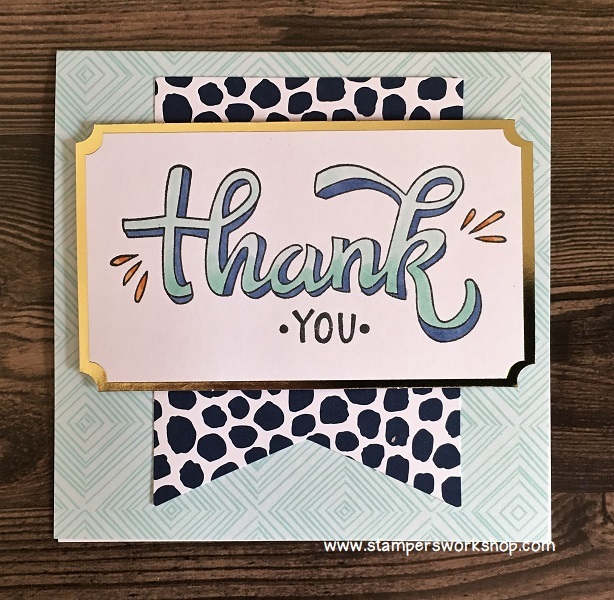 The last card I am sharing is the simple and sweet ‘Thank You’ note card. 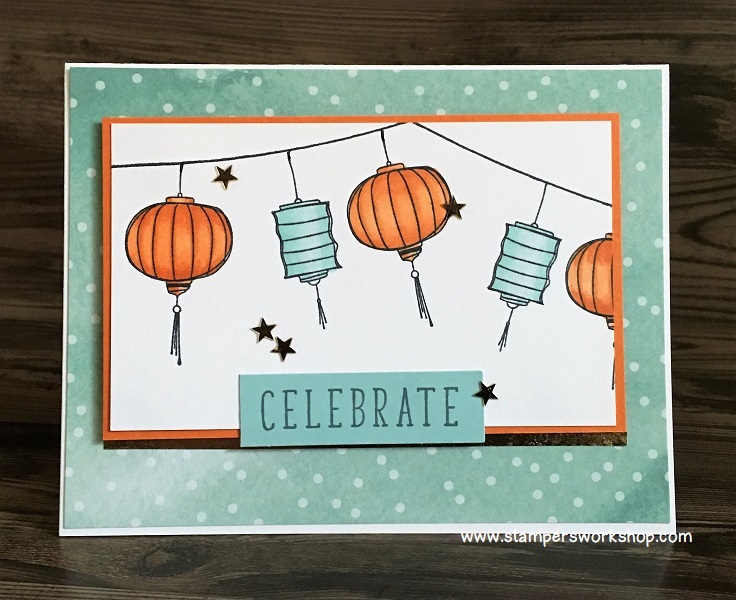 The main tip I have for you when colouring the stamped image for this card is to use a light hand when colouring. I recommend using the bullet nub and just taking it slowly, particularly when coming into the corners. The ink is relatively fast flowing and if you rush or you are too heavy-handed it will bleed over the lines. Just take it easy. (Don’t forget: the Project Kit comes as a bundle with either wood-mount or clear-mount stamps so you can save 10%! If you want to make more than the 16 cards included, you can purchase the Project Kit on its own. You will need a few extra supplies to complete the kit as per the instructions. See this post for details). 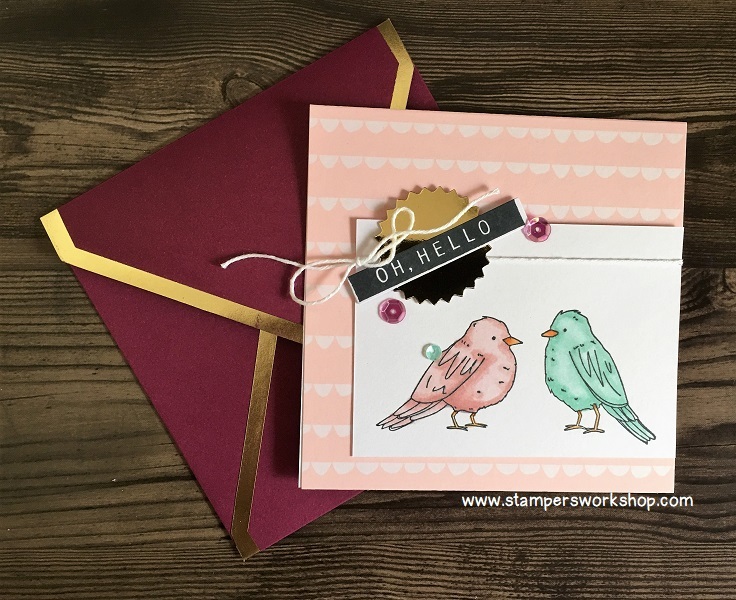 Hi, another of the fabulous cards you can make using the brand new, limited edition Color Me Happy Project kit is this super sweet ‘Oh, Hello’ note card. Isn’t this a cute card?! So “tweet”! The birds are just darling! 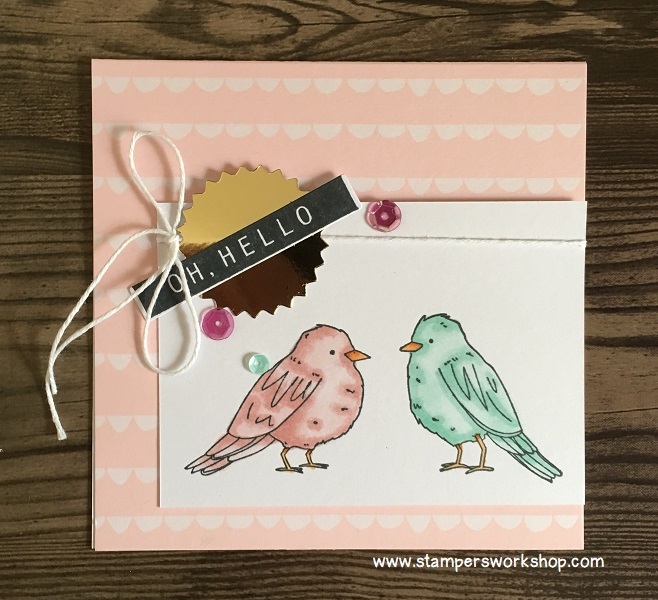 Hi, today we are having a look at another of the cards you can make using the brand new, limited edition Color Me Happy Project kit. I love this card! However, I messed it up a few times. Part of the fun, right? Remember there are two sides to every sheet of paper so if you mess up one side, turn it over and start again. If you then mess up again, cut another piece and start again. Hi, one thing I love to do when I want to create but I’m not feeling particularly creatively inspired is to use a card kit. 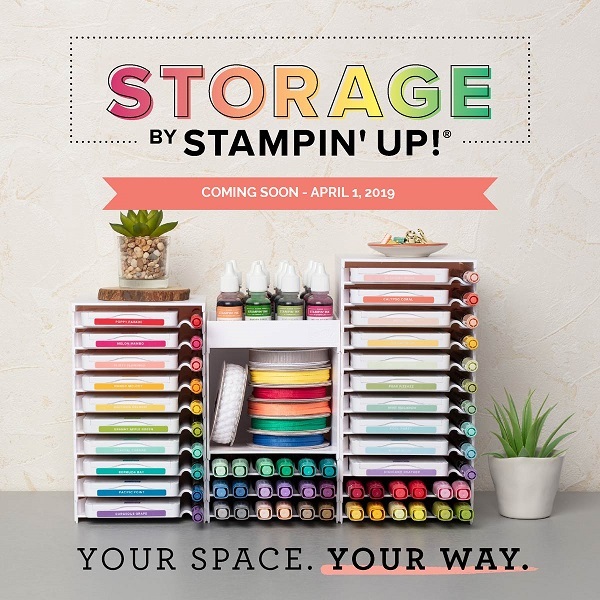 The brand new, limited edition Color Me Happy Project kit appealed to me as it was designed for use with the new Stampin’ Blends. You all know how much I love to colour! 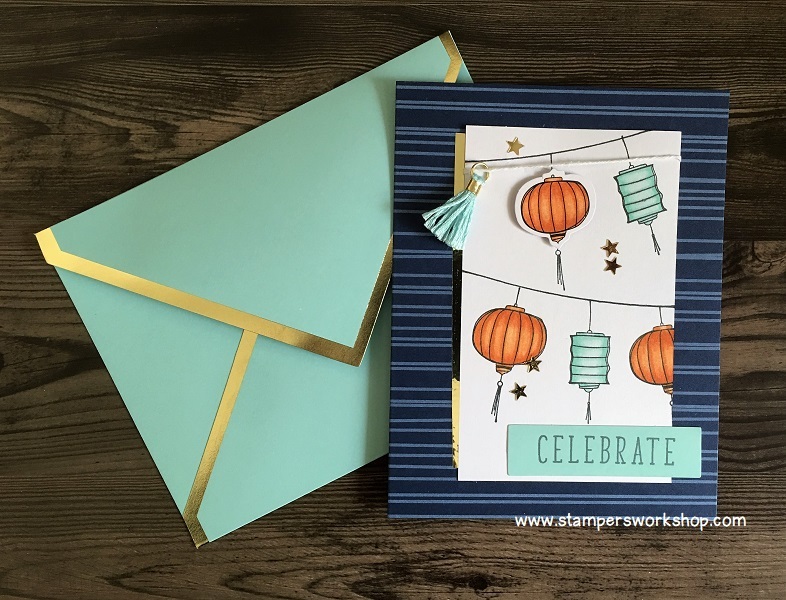 The style of the stamp set offers a range of colouring options from simple colouring to more detailed blending. If you are new to colouring, this is a great kit/stamp set with which to start. Plus the images are just too cute – have you seen those birds?! 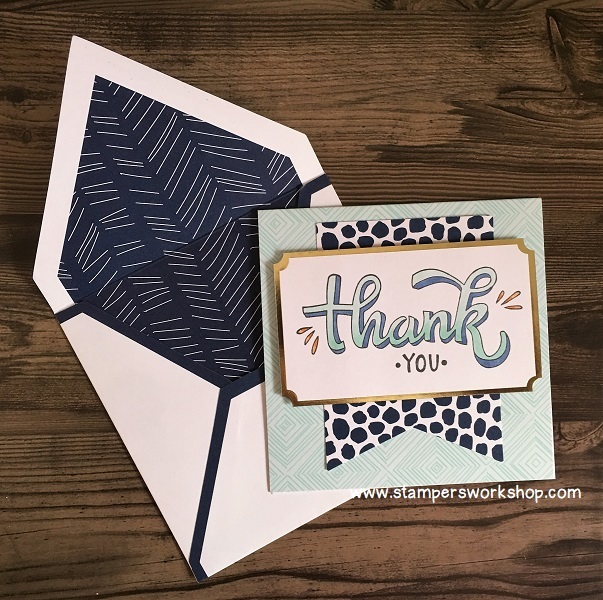 The Project Kit comes as a bundle with either wood-mount or clear-mount stamps so you can save 10%! If you want to make more than the 16 cards included, you can purchase the Project Kit on its own. You will need a few extra supplies to complete the kit as per the instructions. Don’t feel that you have to make it exactly as per the instructions if you don’t want – play and make it your own if you wish! That’s the beauty of kits! It can be a little tricky to adhere the gold trim perfectly. 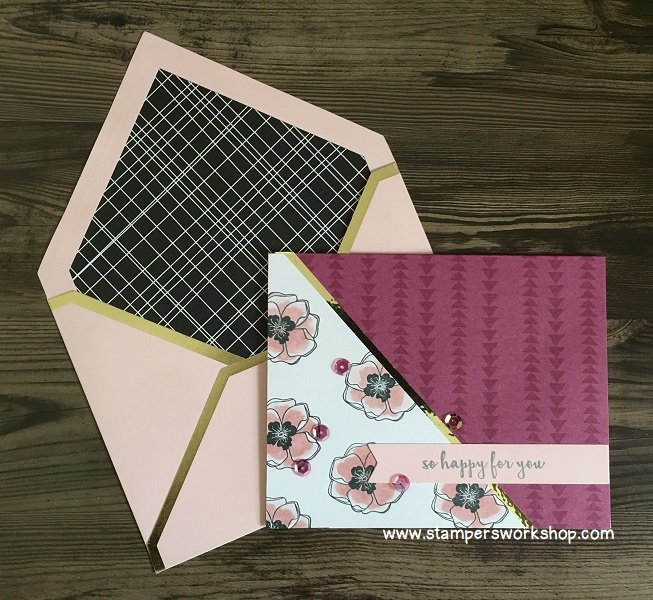 One tip is to tack the edge of the white cardstock in place to use it as a guide. I didn’t do this and maybe I should have! Instead, I positioned the white cardstock in place and used a pencil to make some marks. In one case, it went horribly wrong, I was miles away from where I needed to be. Don’t worry if this happens to you! There is always a solution! All I did was place the stamped panel right along the gold trim and then cut off the extra cardstock. It is a little bit smaller but the recipient won’t know! 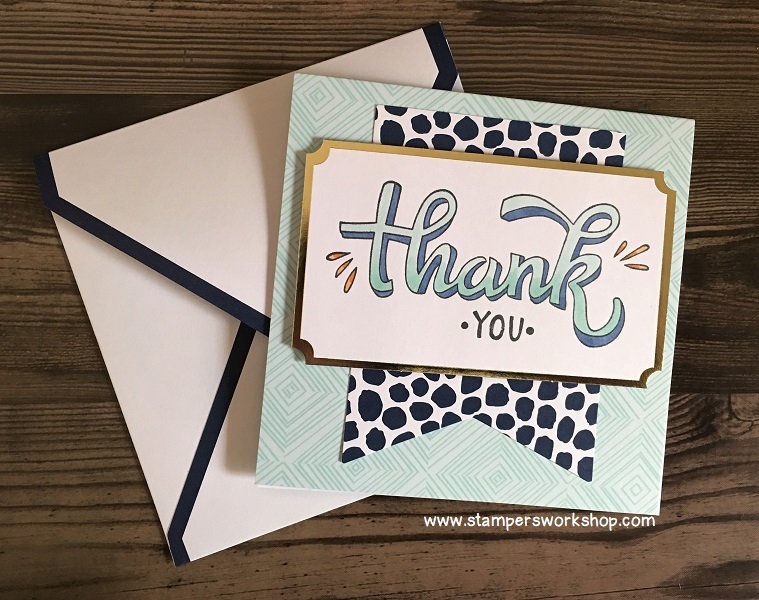 Check out my Facebook page today to see a video by Stampin’ Up! for more hints and tips when putting this kit together. 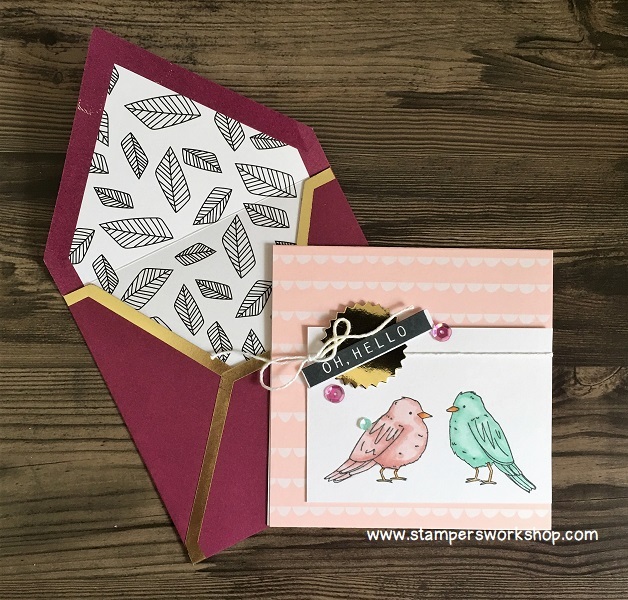 So, if you are new to card making, or you just want something you can whip up in a hurry, this project kit might be exactly what you need.